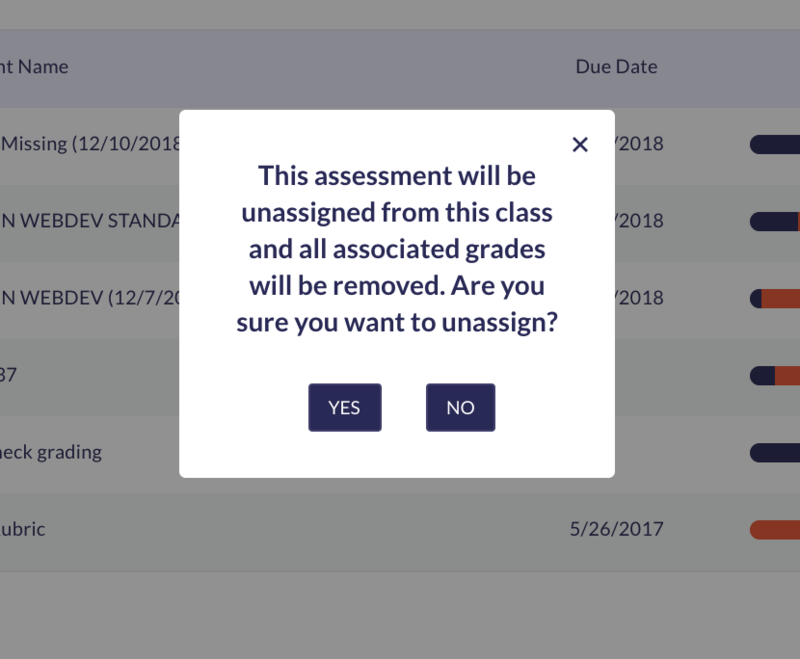 Learn how to remove/delete an assessment or assignment from the grade book. Teachers can remove or delete and assessment from appearing in a student's account after it was assigned. First, select Assessments from the left of the page. Select Assigned Assessments. Choose the desired class from the center drop down menu. Once your have found the assessment, place your mouse over the title of the assessment and select Unassign. This will remove the assessment for the entire class. *** If you would only like to remove the assessment from individual students, please select Manage Assignees. 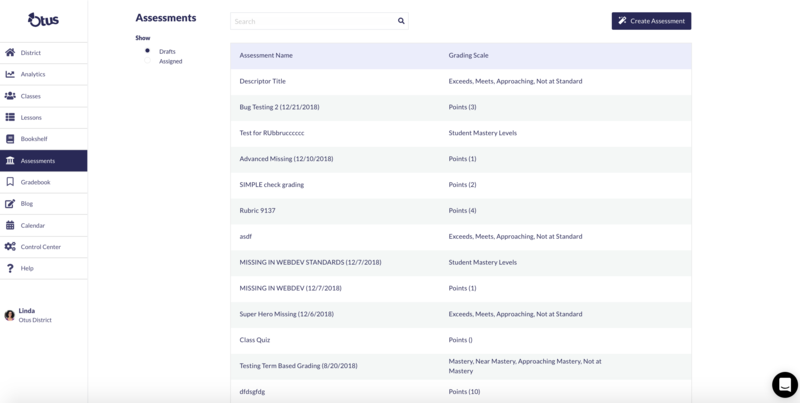 This view provides you with the ability to see students who are currently assigned that particular assessment. Unchecking one of the boxes next to a students name will unassign the assessment for that student. ***If a student has already completed the assessment, grades for that assessment will be removed as well. Click here to learn more about managing assignees. After you have un-assigned an assessment, you may need to create a new one! Click on the buttons below to learn how to create a + assessment, Simple assessment, Advanced assessment, and a Rubric assessment!